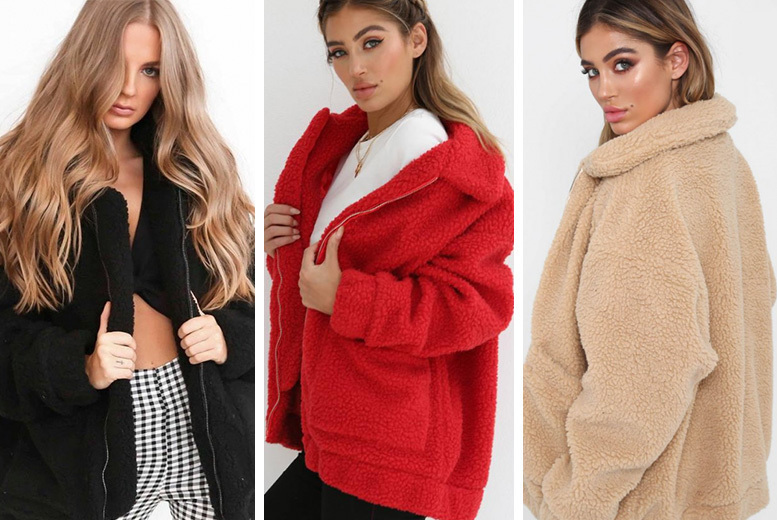 Get a teddy style coat! Choose between red, beige and black colours. Available in UK sizes 10, 12 or 14. With a loose, comfortable fit! Keep warm all winter long!